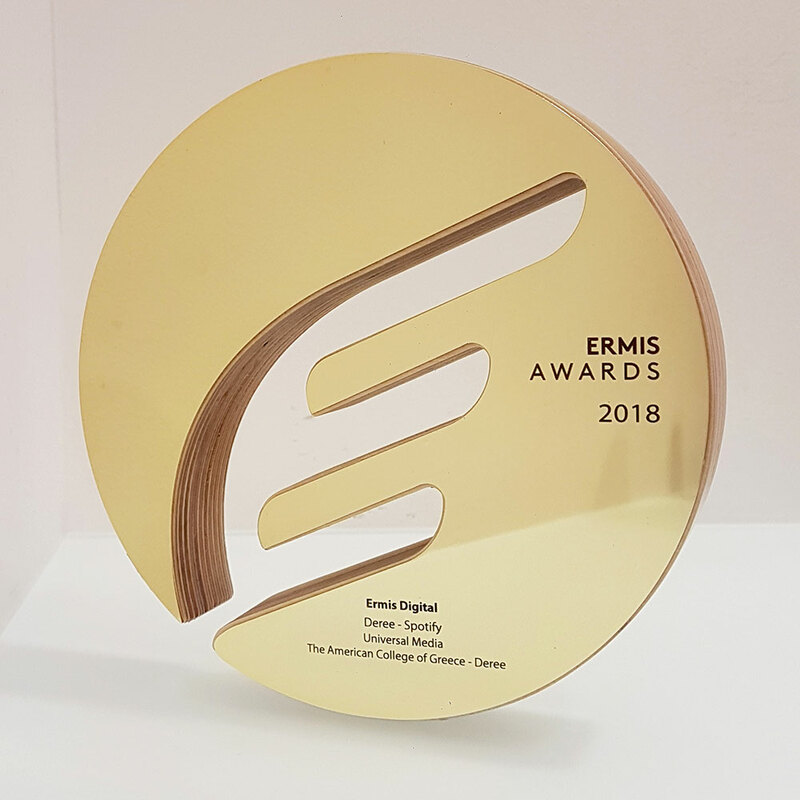 The Ermis Awards 2019 concluded on March 19, with a unique ceremony celebrating a year full of ideas and creative achievements for the world of Greek advertising. 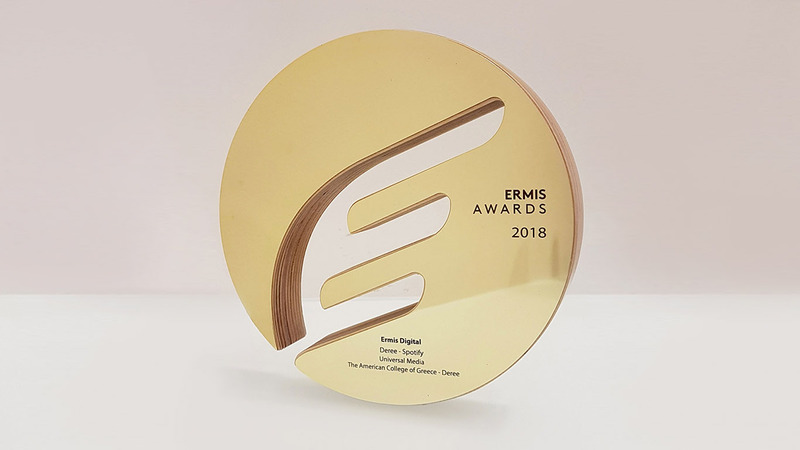 Tuesday night was a special occasion for Deree – The American College of Greece, which, in collaboration with the media agency UM Greece, won a gold Ermis award in the category “Web Banners” for its innovative digital campaign on the online music platform Spotify. Being part of a very competitive environment with strong players in the category of Education, the necessity that emerged with the launch of the Undergraduate Fall campaign for the year 2018-2019, was to reach out to its dynamic audience in a more youthful and interactive way. Spotify, still being an uncluttered advertising environment, fulfilled those needs perfectly. The digital campaign combined innovation and extensive demographic targeting of younger audiences while carrying a very original format, triggering the user’s curiosity and resulting in a high engagement rate. The impressive digital campaign setup brought amazing results and managed to score a user interaction rate of 80%. The award is a validation of the College’s constant effort to employ the latest communication tools to reach prospective students and their parents, and to effectively inform them on Deree’s academic offerings. Congratulations to everyone involved and to UM for their contribution to this outstanding accomplishment!